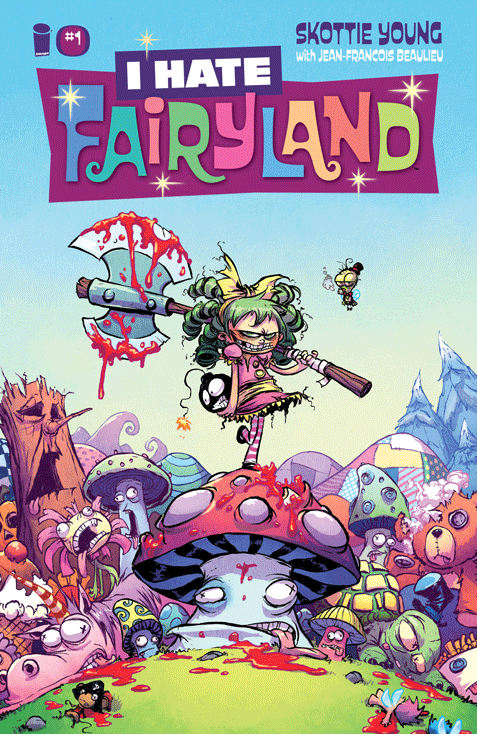 Fangirls, I bought this first trade paperback because I had seen the cover a couple times and was in love with how angry the main character looked, atop her half dead mushroom. I am so glad that I did. This is the perfect balance of un-fluffing-believeable cuteness and pure hell. 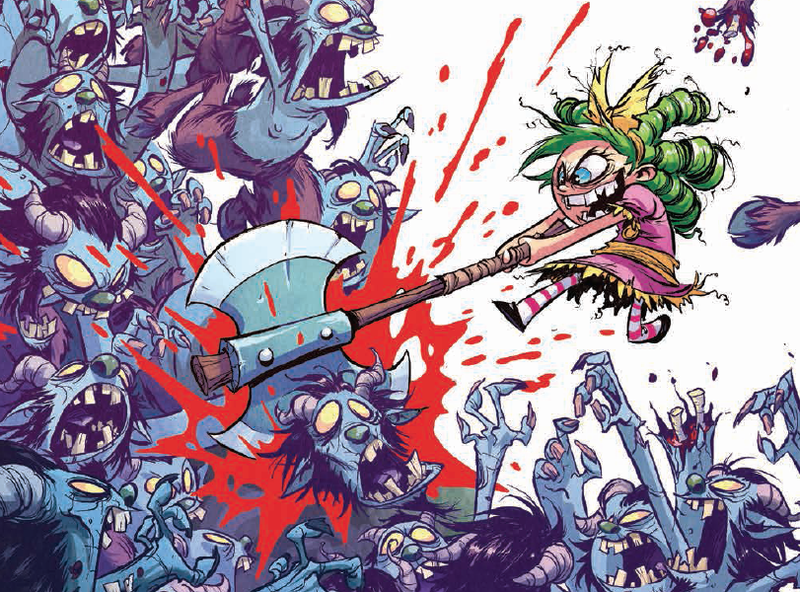 I Hate Fairyland stars Gertrude, a cute little green-haired devil. She began her journey in Fairyland about 27 years ago, when the floor of her room swallowed her whole and dumped her in a magical land where she quickly became filled with rage. No one answers questions straight, all of the colors are too bright, and their diet consists almost exclusively sugar. It’s a right proper hell-hole, especially from poor Gertrude’s position. Her goal is to find a key. It will help her to go home, where she can resume her life. But since she has been taking too darn long, Queen Cloudia decided that she can bring in another human to find the key and leaving, making Gertrude a citizen, and then Cloudia can kill her. You just can’t harm a hair on the head of a visitor. But a citizen is a different story. 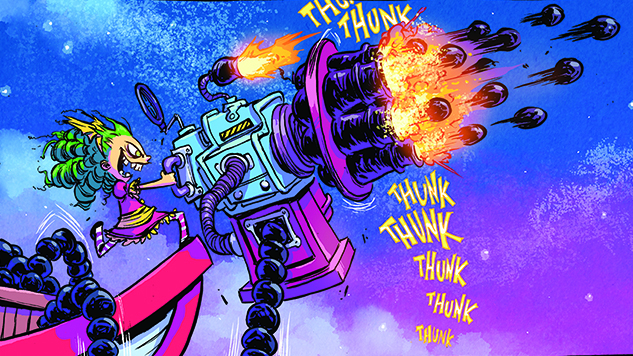 This first collection is of the first 5 issues, and ends in a wonderfully sadistic way. I highly recommend this to anyone with a love of rage-filled children and gratuitous violence (also some choice puns). It’s fun and terrible, and I can not wait to see what the next issues will bring!